This is a minor point release, adding support for the 512MB Model B and permitting arbitrary partitioning of memory between CPU and GPU by editing the gpu_mem property in config.txt. The next thing you need to do is create a home directory for the account by running the following command. To test this account works logoff your standard account and log back in with your new account. If successful you will see the below text. 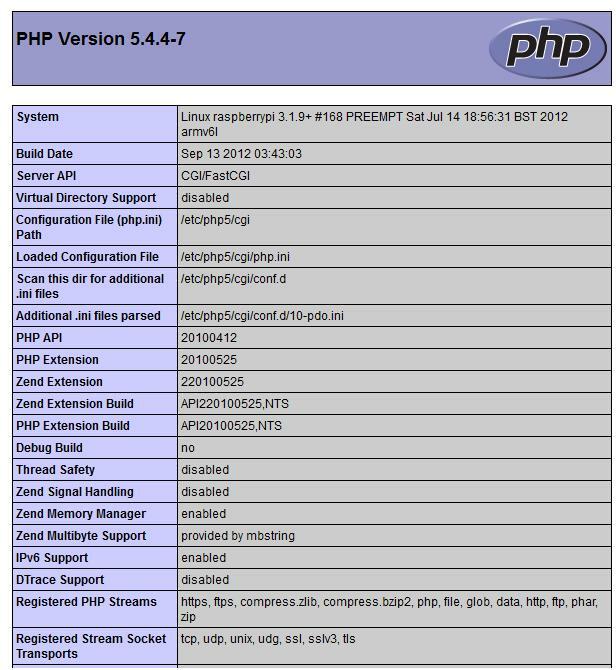 This will show you how to turn your raspberry pi in to a light weight web server running lighttpd instead of full fat apache and it will also be running PHP (P Hypertext Preprocessor) ready for any website you want to run on it. 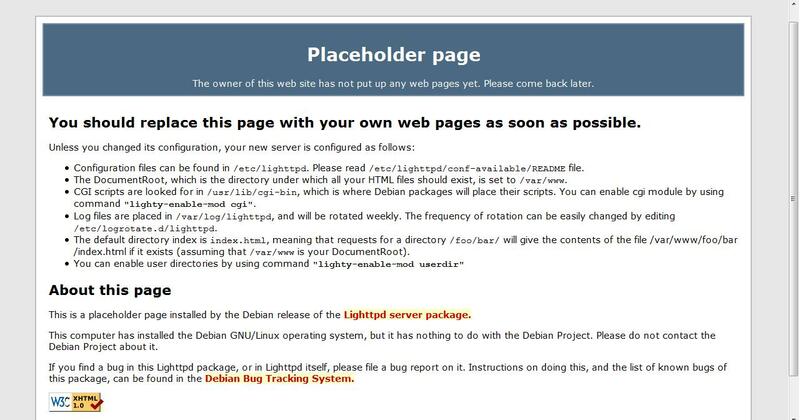 7) To see if it was successful browse to your raspberry pi and should see the following webpage instead of the standard lighttpd page you looked at earlier. you will be prompted for your old password, then you new password twice. The next time you log in you will need to use the new password. When working with the raspberry pi I have come across the Vi Text Editor which is completey different to the nano so here is a quick introduction to the Vi text editor. When finshed push the ESC key to end insert-text mode and go back to command mode. To save a file and exit VI type ZZ (note the capitals).